My goal: Low Carb Vegan . . . HOW? Hi - for medical reasons I need to be on a low carb diet, and since I've done that instead of vegan, I've lost 60 pounds and have 100 pounds to go. 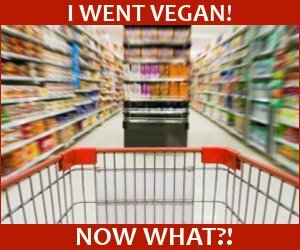 What I really want to do is continue being vegan, but how do I do that? I eat only 15 carbs per meal/snack and I feel great in my body, but in my mind/heart, I don't want to eat the animal products like dairy and fish. 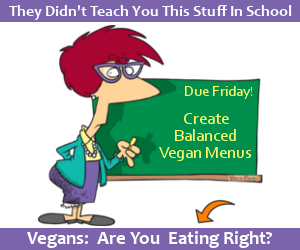 So my question is - where are the vegan low-carb recipes? As to your question about low-carb vegan, admittedly most of the foods that support a healthy vegan diet are composed of carbs. While you CAN do low-carb vegan using ingredients like veggie burgers, vegetarian meats and other protein-rich overly-processed convenience foods, they're not always the healthiest route to go. But that doesn't mean you are out of luck. My recommendation would be to minimize those foods which are super carbohydrate-rich, such as whole grains. I am not saying to eliminate whole grains because they provide the energy we need, but simply eat less of them. The Vegan Food Pyramid recommends 6-11 servings of whole grains per day, but there is some leeway there. The higher end (11 servings) is for very active people or those trying to gain weight. So I recommend you stay on the lower end of this (say, between 3 and 6 servings/day which is ideal for those who want to lose weight in a healthy and balanced way). Plus whenever you eat whole grains, have them in their actual whole form (for instance, breakfast oats) instead of a more processed form, such as bread or pasta (yes, even if it's whole grain). Please note, 1/2 cup cooked whole grains/cooked cereal/pasta equals a serving. 1 slice of bread is also a serving. So you can see it is quite easy to reach 4 servings over the course of a day without overdoing it. Just be sure to eat lots of vegetables, especially dark green leafies and green salads, and protein-rich beans and foods made of beans (such as hummus) so your diet is filled with the nutrition you need. "My favorite part of the course was learning about how to work healthy grains into the picture. I love them and it's nice to know that I don't have to give them up." Next: Vegan Is Easy But Sugar Is Impossible! Comments for My goal: Low Carb Vegan . . . HOW? Hi, I have been following a low carb vegan diet for 2 1/2 months and have lost 18 lbs. an example of my low-carb diet consists of scrambled tofu or a soy or almond milk smoothie w/ 3/4c of frozen berries and hemp powder for breakfast, a dark green salad with beans/edamame or a vegan burger, no bread, for lunch and tempeh or tofu stirfry, tvp meatballs with shirataki noodles and vegetable for dinner. As snacks, I eat a piece of fruit or hummus and veggies and a piece of vegan dark chocolate. I understand and respect the comments here. Please do keep in mind that many people who have to cut down carbs in their lives have diabetes. Some are more sensitive than others, the most sensitive will typically have to have their carbs under 50 grams per day to stay in remission. The alternative is drugs. There are a lot of people who can eat more and naturally. I used to be one of those, but in my middle age I had to make a choice. A low carb diet does work for people such as myself. I am currently working to make that also Vegan or at least vegetarian, both of which I have been in the past. The problem also is GMOs and other additives, hormones, etc. Tofu is wonderful but it has problems in this area. I am successful with eating eggs and cheese from more humanitarian sources than traditional...but I agree this is not good enough! Hi there - Organic tofu is out there and readily available. Sometimes it might not say it on the label, but if you read the ingredients you'll notice the word "organic". It's VERY important to buy organic tofu due to, as you mentioned, GMO's (genetically modified organisms). Ack! I also recommend (if you have access to it) sprouted tofu which is far easier for the body to digest and make use of. Hemp protein, Spirulina, superfoods, etc. I have similar nutritional/ethical goals. I also have a thyroid issue that makes eating a lot of soy products (tofu/tempeh) a bad idea. I'm going to try to go the route of :lots of greens, veggies, healthy fats, and try to use things like hemp protein, spirulina, and other super foods to fill in the protein gaps. I would also LOVE to be vegan but have gone back to eating flesh because of my weight. I hate it and try to eat the most humanely raised creatures possible... but yeah, still hate it. I read the book The Big Fat Secret a few months ago and went on a very low carb, high fat, high flesh protein diet. I lost 15 lbs in 4 weeks and was reeeeeeeeeeally excited until I ended up in the ER with dehydration and ischemic collitis. Not fun! I believe a grain free diet is healthy based on that and several other books I've read (Wheat Belly, Grain Brain, Against the Grain, Paleo books). I am currently following a moderate carb diet and am going to work on reducing animal foods as much as I can. Thanks for being here! I've been a vegetarian for more than 40 years, a vegan for 5 years as I became dairy intolerant and allergic to eggs. Three years ago my body turned gluten intolerant as well, so having lots of grains is a no go for me. I do eat brown rice occasionally. I basically eat lots of salad, stir fry veggies, tofu, lots of nuts. Fruit smoothies and scrambled tofu in the morning is a great way to start my day. As far as the comment the one needs at least 120 carbs a day…… For me that doesn't work, I have to stay around 80 carbs, any more and I start gaining weight. Once in a while it's ok, but not on a daily basis. I'm 54 years old, 5'7" 120 lbs, never sick, and look years younger than I am. So it is totally possible to eat a healthy vegan and gluten free life! To the person who asked for "scientific support" -- I commend you. None of us should ever take anybody's word for anything. We should each be in charge of researching a topic that we question. Like you, I rely on scientific research and that's how I form my opinions about much of what I speak about on my website and in my eBooks and eCourses. That, and a heck of a lot of personal experience -- I've been vegan since 1994 and feel pretty comfy with the topic these days. You will likely find this video helpful -- it is the scientific proof you are asking for. NutritionFacts.org's mission is to decode scientific studies for us lay peeps. "This is the best science to date demonstrating the threat of low carb diets not just measuring risk factors but actual blood flow in people's hearts on different diets." "...low carb diets were associated with a significantly higher risk for all-cause mortality in the long run." Hope this helps shed some light on the topic of the long-term health effects of low-carb diets. Healthy fats & carbs in vegetables (beets, broccoli, cabbage, tomatoes etc) keep blood sugar stable. High carb-low fat diets have been the downfall of the nation's health, which is why diabetes & heart disease run rampant. Even if you do not have blood sugar issues, you will if you don't REALLY watch your carbs. To Miss certified...I am on a low carb diet..only consume 20 grams a day..and my brain is functioning just fine thank you..I am a middle aged college student with a 4.0 GPA....You really need to "catch up" on the latest research...the brain works perfectly well operating off of ketones...I am diabetic..perfect health markers and an A1C of 4.9..(NORMAL)....thank you...and I certainly hope they require continuing education classes for diabetes educators...because ou are operating on outdated science.. I think we need to be careful not to confuse our body's need for carbs with the need (or lack thereof) for grains of any kind. Grains are nutritionally poor, and one would be better off getting one's carb needs, whatever they are, from plenty of plant matter in the form of vegetables including root vegetables (sweet potato, etc. ), some legumes (as tolerated), and some low-sugar fruit. At least those are loaded with nutrients and more fiber than grains. I am extremely sensitive to carbs and stick around 50GM per day in order to maintain weight. If had 45GM per meal, I would gain weight. Its just how my body works. We are not all the same. I feel fantastic keeping my carbs down. The struggle is eating low carb and not consuming too much in saturated fats and cholesterol but it can be done. I don't eat pasta but substitute Spaghetti Squash for the pasta. I don't eat rice but make a faux rice with cauliflower. I don't eat mashed potatoaes but make a delicious substitute with Celery Root. Just in case you didn't know (although you probably do!) cholesterol is ONLY found in animal products. If you're trying to lower the amount of cholesterol you eat, plant-based is the way to go. There is zero cholesterol in plant-based foods. I guess I am the only one who immediately thought weight loss surgery, as opposed to diabetes.. I had gastric bypass 12 years ago. Lost over half my body weight and over the years transitioned to vegetarian and then vegan diet. Carbs are the enemy to the WLS patient. Dumping (what happens when you eat carbs), is extremely uncomfortable and to be avoided at all costs. I am really struggling with my diet. I'm getting bored eating the same things over and over and I've managed to put on weight after losing and keeping it off for over ten years. I ish I could just take a pill and get all my nutrients and calories. The best health I have ever achieved, which included a weight loss of 40 pounds, was the accidentally vegan diet called the macrobiotic diet. Brown rice is amazing and my mind and body were never better after two years of eating mainly organic brown rice, steamed/baked/sautéed (toasted sesame oil) vegetables, legumes, small amounts of sea vegetables, miso soup, tiny amounts of dried fruit/nuts/seeds. I was almost super human as my memory became incredible, my reflexes were amazing, my sleep was perfect (and I needed much less sleep to attain pH balance), my stress level became a non issue, and I had no physical issues with any system of my body. I read nearly 64 books in that 2 year period regarding the macrobiotic approach to health and even my imperfect practice of this diet resulted in radiant health. The diet is low sugar and low fat by default. The longer molecule chains in brown rice served as a perfect energy source that did away with spikes and dips in blood sugar levels. Eventually I returned to eating some everyday foods and would return to brown rice and veggies whenever I would start feeling blah. I went a full 15 years without a cold or flu. The past four years I have been eating a high carb vegan diet and have been feeling good, but my weight has crept up about 20 pounds. My blood levels were all great, but incorporating so much fruit and sugars has had its way with my girth. I have seen too many family members on low carb (not vegan) suffer from strokes and heart attacks, so I am not even going to consider a low carb diet, but I just wanted to put in a good word for organic brown rice and you have to do your own research on why this carb is great for your cellular health. I am saying good bye to bananas and Clif bars for a long while. Bananas don't grow in Michigan and unless you live in 90+ degree weather.... get it? Hi! After close to 25 years of veganism (mostly complex carbs like potatoes) and never being able to lose an ounce, I went back to low carb and began losing immediately. I absolutely hate eating meat/eggs, but trying to eat low carb the vegan way didn't allow for many choices. Salads and nuts with a little tofu thrown in occassionally is about the extent of it. I'm still trying to keep carbs under 50, but I haven't really succeeded with that. It's so frustrating - I hate being a fat vegan, but I hate eating flesh foods also! 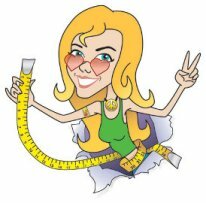 I'm so confused about how to get my extra weight off - I have about 65 lbs to lose. I've read the blog and I'm going to keep working at this day by day. Just a question as a Vegan that has type two diabetes and cannot eat bread, pasta, rice, fruit of any kind, potatos of any kind as it makes my blood sugar spike sky high. Do you have any suggestions for foods. Personally I eat low carbs. I an a 46 year old female who has been on a low carb( no flour, potato, rice, pasta, couscous, noodle, etc) vegan & no alcohol diet for 2&1/2 months now & have lost 35lbs. I stick rigidly to having a low carb vegan breakfast, lunch and dinner with a small nut or fruit snack if I am having a particularly busy day but not if I am having a regular day. I have not had one sugar- low day in that entire time. I went from being a normal omnivore diet which included both good and bad foods entirely over to this diet in just one day without any negative effects. I find that I no longer feel hungry between meals & that I have double the energy I had when I had the omnivore diet. I cannot recommend the low carb vegan diet enough. It is revolutionary! Though I am a busy mum, I have not changed my exercise regime one bit since I started the low carb vegan regime and yet have lost 2.5 stone in 2.5 months while eating this way. I have been reborn by this eating regime. My health, my skin, my energy levels and my brain function all have improved since I became a low carb vegan. One and only thing I will say is plan your meals in advance so you are getting a nutritional daily allocations of all the required nutrients and remember to take you B12 also. I'm a diabetic and an ex-vegan that wants to go back to being vegan. My problem is, I couldn't achieve a low enough carb intake while being vegan, which in turn had made my blood sugars high. I also workout a lot and need plenty of protein for muscle recovery. I was wondering if anyone could suggest a vegan diet plan that would best fit my wants: high protein and low carbohydrates. i was vegetarian for 14 years, and the last 7 overlapped with being low carb. i now eat meat and feel much healthier, and have been lowcarb for a total of 11 years. 5. a brand called kite hill makes an almond milk yogurt- it's amazing. you can add some pb or fresh berries, as well. 6. spaghetti squash with marinara, sauteed mushrooms, and nutrional yeast. 7. so delicious makes no sugar added coconut milk "ice cream"- not a "meal" but had to include it! Thanks for the great advice :) Will continue my vegan diet with confidence!! My brain has worked quite well when I've been on a ketogenic diet, vegan and vegan low carb before I even knew other folks did that. I lost 100 pounds in Atkins 15 years ago eating 40-50 grand of carbs per day. My brain must have been fine as I have been the manager of two businesses since then each time over 20 or more employees. I have retained my weight loss and still eat less than 75grams of carbs per day which come from vegetables, eggs and whole grains. I am a type 2 diabetic and have been for 13 years with no complications. I am happy to say this diet also lowered my lipid profile and my cholesterol is better than ever. I know many people who have lost weight on low carb high fat and kept it off more years than I have. It's too bad the general public thinks we eat pounds of butter and bacon, lose weight and get fat again or die of some dreaded disease because of LCHF diets. High Carb or Low Carb your body needs carbohydrates. I agree, it is a challenge to find high protein vegan foods that are low in carbohydrates. I follow Dr. McDougall. I also have begun tracking my daily macros (fat, protein and carbohydrates)intake. You can determine your correct macros intake on calculators offered on reliable internet sites. It is really tricky reaching the protein level without exceeding the carbohydrate level unless a vegan protein powder is implemented into my diet. Of course, whole food sources are primary, but it is nearly impossible to reach these levels of daily protein intake without the number of carb grams spilling over. 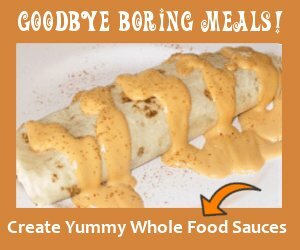 Does anyone have any good high protein vegan food options outside of vegan protein powder? 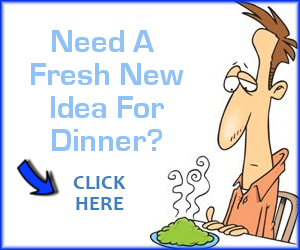 I was happy to find this site as getting info on low carb vegan meal plans is difficult. When I eat lower carb (80/day) I feel much better and loose weight. I'd like to avoid gluten and not eat a ton of soy. We are each different on what works for us....and for me this is it. I'd like to thank EVERYONE who has participated in this thread so far. 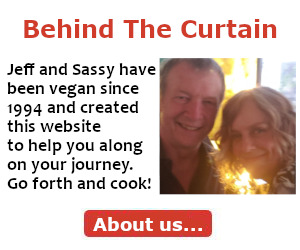 It's fabulous to hear that so many of you are having success with a low-carb plant-based diet. Personally, I believe every body is different, and what works for some might not work for others, and visa versa. Experimentation is KEY and it's definitely what I recommend. In fact, my weight loss course lays out some guidelines to follow and encourages you to keep track of what you're eating and its effects so you can find what works best for YOU. We need to be sure we're all talking about the same thing. Many times people say they went "low carb" and feel fantastic. And YES if you reduce or eliminate simple carbs from your diet (such as pasta, white bread, etc.) 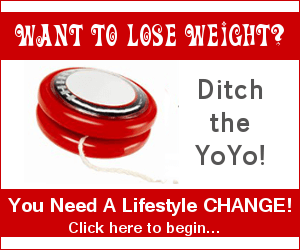 you will likely lose weight. AND you'll be healthier because of it. This is a SMART thing to do. But is it wise to eliminate healthy carbs, too, such as complex carbs like whole grains (brown rice, barley, wheat, spelt, etc) and pseudocereals (like quinoa)? Our body uses these whole complex carbs for slow and steady energy PLUS they provide important fiber that bulks up our stool and keeps our intestines clean PLUS they provide important nutrients we need (such as b vitamins). And as a vegan, if you decide to eliminate these whole grain complex carbs, you're eliminating an entire food group. Is this a good idea? Well, I happen to think not, but I would suggest you do your own research and come to your own conclusions. And experiment to see what you think. You might find it difficult to create life-long plant-based meals without these healthy whole grain complex carbs. And, perhaps just as important as what you're putting IN is what's coming OUT. Because if you completely eliminate whole grains from your diet, one thing you will SURELY notice is a decline in the size and amount of your BMs. Because one thing that Low-Carbers will likely not readily admit is their difficulties in the bathroom. This is why a high-fiber diet is so incredibly important. I have been following a low carb diet for years. I have epilepsy and ketogenic diets can stop seizures in many children and I can tell you from my experiences that it improved my functioning and offset side effects of the medications. I also live with bipolar. However, over the last year or so, I haven't been feeling as well. I am on several medications which are truly toxic and who knows what the cocktail of them mixed together ends up. I discussed my concerns with my psychiatrist and told her I wanted to wean off my mood stabilizer and through implementing some other lifestyle changes see if I can maintain stability. I know of people who are able to live this way. It's recommended that you switch to a vegan diet to lighten the stress of digesting food so I am choosing veggies mainly but will take fish oils, lower carb veggies, keeping my protein more reasonable and healthy fats..I'm using nuts..walnuts, avocados, eggs but very limited dairy except maybe a dab of butter. I will eat apples and occasionally brown rice. Going low carb isn't about throwing nutrition out the window, in my humble opinion. If you want to feel good you have to support it with healthy foods. If I don't get enough carbs, I plunge into depression fast. There isn't enough glucose to convert to serotonin. After years of this way of eating, I know something has to give. It takes creativity and experimentation to find the blend that's right for you but over time, if you eat junk food protein like burgers without the bun, it will catch up with you. So, I'm doing an overhaul on my entire diet. Listen to your body, it will tell you what you need. You can loose a lot of weight going very low carb, but don't sacrifice other areas of your health. All these foods exist for us to consume. Whatever you eat the most of will likely be what can cause inflammation in the body and not show obvious signs like an allergic reaction. In China the number 1 allergy is rice. Gads, hope I don't develop a sensitivity to lettuce, lol. If you consistently start to feel run down, look at your diet a little closer. These eating styles are not a one size fits all. We come in a variety of sizes and are meant to..it's genetic. Not everyone who is labeled overweight is unhealthy. It's about finding the right nutrition and lifestyle that supports you the best. Short and long term. I wish everyone the best on the journey to wellness. All I know is I want to feel the best I can so I can give the best I am. I noticed one of the comments mentions TVP meatballs, however, you do realize that is textured vegetable protein is highly processed, and not good for you. Just a bit of advice. How do I do a low carb vegan diet? I have recently been diagnosed with Hashimoto disease(thyroid) and I am also gluten intolerant. I have been a vegan for about 2 months now. I have already gained 8lbs since becoming vegan. How can I do a low carb diet and how many carbs a day would be optimal to lose weight? I need to lose about 50 lbs. I appreciate any help yall can give me. I have T1 diabetes and find a relatively low carb vegan diet is really good for keeping blood glucose levels stable and being generally healthy. I eat a little organic sourdough rye bread (that seems to work well) and organic wholegrain basmati rice, but processed and refined carbs cause spikes in BG levels. I eat fruit, vegetables, nut or coconut oil cheese, tofu, bean dishes (made from dried beans and cooked at home) - basically lots of plants.. My weight stays low, my daily carb intake is between 80 and 140 gms depending on the amount of exercise I'm having. I eat as much as I want to and I'm pretty healthy for almost 70 and having T1 diabetes. would love to try a low carb vegan diet but i don't want to have soy bc i've heard it messes up your hormones and i'm trying to clear up my hormonal acne so i have no idea what a meal plan could look like, help pls?